The Australian Boardgaming Championships have returned to Melbourne for 2019! Join us at Games Laboratory in Melbourne CBD on 10 - 11 August for a shot at heading overseas to represent Australia at the World Championships! Please note that the Games Laboratory event area is accessible via stairs only. We apologise for any inconvenience this may cause. Online ticket sales are now open! Purchase your tickets online to secure your place at $15 for Settlers of Catan and Ticket to Ride. Do I have to play in a state qualifier first? No, everyone is welcome to participate in the Australian Championship tournaments. Winners from the ACT and NSW events receive free entry to their championship game. Tickets will be available for purchase online. Purchase your tickets online to secure your place. The 2019 Australian Boardgaming Championships will be held at Games Laboratory, 328 Little Lonsdale St, Melbourne 3000 on the second floor. Please see the map below. 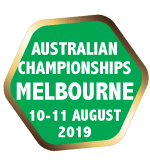 Listed below are the 2019 Australian Championship prizes.